Thursday, September 20th is ISLA’s first late start of the school year. Buses and school will start 2 hours late. If you need child care for this day, please contact Aventuras at Aventuras@isla-academy.org. They need at least 24 hours to process requests for care. Thursday, September 27th, 6:30-8:30 pm is curriculum night and our State of the School Event. This is an event for PARENTS/GUARDIANS only. You will learn about the themes your child will explore this year, teacher expectations,homework, routines and more. Each grade level will conduct two identical presentations, allowing those with children in more than one grade level to attend both presentations. We will begin with an all-school presentation in the multi-purpose room at 6:30 pm. This will be a time to introduce all ISLA staff. Presentations will take place in the classroom. We hope to see you then! Mabel’s Labels: You can find your child’s things easily in the lost and found by marking them with bright, durable, Mabel’s Labels. Go to https://campaigns.mabelslabels.com/and click on ‘Select your School/Organization and choose International Spanish Language Academy. A portion of your purchase will support the PTO. Amazon Smile: Shop at Amazon? You can have a portion of your purchase donated to the PTO! Go to https://campaigns.mabelslabels.com/ and search for International Spanish Language Academy. Then just make sure to bookmark Amazon Smile and use it for all your Amazon shopping needs. Are you available to help distribute the wood chip delivery on the playground? We would really appreciate your help and looking for a big group to make it go quickly. Come any time after 3:00 pm on Friday, September 21st, 2018. We will have limited shovels and rakes, so if you have an extra one please bring it along. Kids are welcome to help with this project! Interested in helping your child's class? Becoming a room parent is a great way to volunteer at ISLA. Room Parents support and work together with our amazing ISLA teachers to plan a handful of classroom activities, including celebrations and a classroom auction item for the Fiesta de la Primavera. Ideally,two parents will work together in each classroom to support each of your children's teacher and classroom throughout the year. If you have any questions and/or would like more information, please contact Alexia Pettersen at alexiapettersen@gmail.com. Thank you for considering and your help! Fun volunteer opportunity! ISLA is looking for a few volunteers to help picture dayrun smoothly by organizing the kids before they take their pictures and helping to smooth out collars, hair, etc. Volunteers needed for Picture Day and Picture Retake Day. Thanks!! Are you looking for a fun opportunity to help out and see the kids during the school day? Sign up for the lunch program sub list to help out during the lunch hour! Prep for Lunch, Greet the Kids, Serve Food, and Clean Up while working alongside another ISLA volunteer and Scott (ISLA's lunch manager). Signing up for the lunch substitute list is a great way to help out on an ad hoc or last minute basis. (There is no commitment to signing up for the sub list.) Sign-up on Sub list on 9/1 time slot to be added to the sub email list. It was a great turnout at the Back to School Picnic this past Sunday! What a great time and what an unbelievable community! With a heart of gratitude, thank you to all the volunteers that helped support this event! We couldn't have done it without you! The PTO collects and organizes new or gently used uniforms that are donated by ISLA families who no longer need them. They will be set out at a variety of events throughout the year. However, if you find your child has gone through a growth spurt and you need access to them sooner Emily is able to give parents access to where the uniforms a restored. To donate items, please bag them and drop off at the school office. Please feel free to take any items your kids could use. You do NOT have to donate anything in order to take. What is the PTO (Parent Teacher Organization) at ISLA? Promotes communication between parent(s)/guardian(s) and school staff. Enhances educational and social experiences our children have at ISLA by enriching the curriculum and providing the school community with social activities. Raises funds and promotes involvement in school activities through annually budgeted and PTO sponsored activities including the LA program. Who is involved in the PTO? Every parent/guardian and teacher at ISLA is a part of the PTO and can participate in a variety of ways (see how to get involved below). There are no dues. Rather, it is expected that families will give their time by participating in PTO sponsored fundraisers and events. 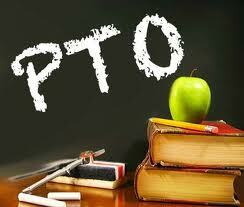 The PTO has an elected board comprised of parents who lead the PTO business and sponsored events. What specific activities/events does the PTO do? Sponsors social events including Yahoo Boo-hoo, Back to School Picnic, Dia de los Muertos Family Night, Winter Family Night, and the year-end Roller Skating Family Event. Organizes fundraising opportunities including School Supplies, Barnes &Noble Book Fair, restaurant nights, Spirit Store, Amazon Smile, and the PTO’s largest event, Fiesta de la Primavera. Recruits and coordinates volunteers for lunch service, room parents, hearing/vision testing, picture day, uniform exchange, social events,LA host families/needs, library assistants, yearbook committee, field day, etc. Coordinates the LA Program including seeking and supporting host families and attending to the language ambassadors ongoing development and needs. Supports teachers and staff by recruiting room parents for classroom support, subsidising field trips and classroom supply needs, providing meals to staff during conferences and teacher appreciation week activities. Coordinates the ISLA Kinder Sponsorship Program to link current and new ISLA families as a resource and connection to the ISLA community. How do I get involved in the PTO? Attend the PTO general meetings. There are typically 3-4 meetings during the school year. Available volunteer opportunities will be communicated through Signup Genius. Staytuned for the email with Signup Genius info! Contact our Volunteer Coordinators, Julia Breyer & Sarah Walz (volunteer@isla-academy.org) or talk to any of the PTO board members. Picture day is coming up on September 27th and 28th. Lee Prohofsky, a former ISLA parent, will be taking pictures. On Thursday, September 27th, Kindergarten, 3rd Grade and 6th grade will have their pictures taken. On Friday, September 28th, 1st grade, 2nd grade, 4th grade and 5th grade will have their pictures taken. Envelopes will come home prior to these dates for you to see the different packages. Payment should be included in this envelope. Please do not seal the envelope as that is what your picture packages will go into. Retakes will be taken on Friday, October 5th. See the flyer sent in the September 14 Noticias de ISLA y ISLA-PTO. Information will becoming out the week of September 17th. Look for it in the newsletter that week. Young Rembrandts Art has started registration already. About Our Program: The Course is designed to teach basic to advanced drawing skills, art techniques, and vocabulary. We believe that drawing is the bedrock skill required for future artistic success, both now and in the future. We give our students'skills to express their creativity and believe that all children can – and should – learn to draw. You’ll see increased art abilities, learning skills, self-confidence, and self-esteem. Hopkins Royals Boys Travel Basketball sign-up for boys Grades 4-8. Tryouts are Saturday and Sunday September 22-23. For more information please visit hrbbabasketball.net or contact Kim Lampe at kim.lampe@comcast.net.